Our Adoration Kneeling Angel statue ia an inspiration depicting beauty and immaculate details and hand finishing. Adoration Kneeling Angel statue shown here is created in prayer and reverence with her hands crossed. 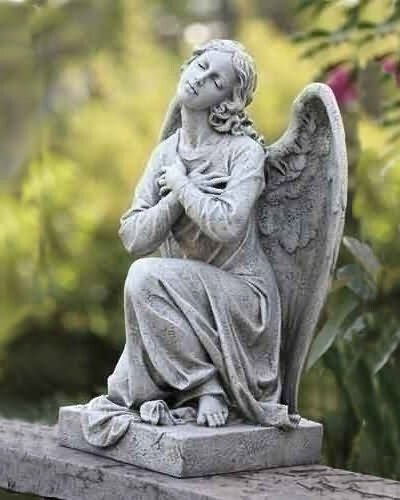 The adoration praying angel statue comes on a base suitable for placement and makes a fine addition to the garden as well as for the church. Hand crafted and hand detailed. Resin and stone mix.